JEUNE AFRIQUE ‘s François Soudan conducted an exclusive interview with President Paul Kagame. The interview, published in French, highlights a number of issues. Below is the translated version. On the evening of Friday August 4, when the results of presidential election will be released in Kigali, commentators are unlikely to be surprised. Unless there is an unexpected occurrence, their only job will be to compare the percentage with which Paul Kagame will have been re-elected, with previous elections. Ninety-five in 2003, 93% in 2010 and a few points granted to a few competitors. There were two other candidates in the first election, three in the second, and so far three candidates have declared their plan to run in the upcoming elections. Frank Habineza, the leader of the Green Democratic Party (the only opposition party authorized in the last four years) is the only one who can hope to reach 5% of the votes. Returning to Rwanda in early February, from a long exile in Central Africa followed by Paris, Philippe Mpayimana is a former journalist and who is unknown to the public. He has become the subject of mockery since he showed up for his news conference on a motorcycle due to lack of financial means. As for Diane Rwigara, she is the daughter of a businessman who was once close to power and died in 2015. Her privacy was scandalously exposed on social media the day after she announced her candidacy, which in such a conservative country is equivalent to a fatal blow. The source of the leak will never be known. Succession is obviously not the order of the day in Kigali. As politically incorrect as it may seem, very few Rwandans want it because of Paul Kagame’s legitimacy, the fear of a future without him and the discipline that defines the society are irrevocable and undeniable. Especially that, as noted by all the African visitors who come back overjoyed, Rwanda has become the symbol of a “successful Africa,” with a “knowledge-based economy” on the rise and the ambition to jump to the third industrial revolution and skip the other two. With start-up incubators in Kigali like the Innovation City, a smaller version of Bangalore, situated 15 km from the capital where Carnegie Mellon University has set up a campus. There, the talk is about e-books, drones, photovoltaic parks and FabLab. With a 7% projected growth rate for 2017, ranked as the second country in the Doing Business ranking, 95% of the population covered by high-speed internet and 91% by health insurance, a maternal and child mortality rate that has decreased six folds in twenty years. These undisputed achievements, which include security, cleanliness and low corruption rate (4th in the last African ranking by Transparency International), make Paul Kagame, 59, an admiration out of the half a dozen of French-speaking heads of state from Alpha Condé to Ali Bongo Ondimba, from Faure Gnassingbé to Patrice Talon. Of course, these facts and figures are in stark contrast with a per capita annual income of $700, a budget dependent on foreign aid by 30%, tightly controlled freedom of expression and association inducing at times a lack of vitality in the political and cultural life. 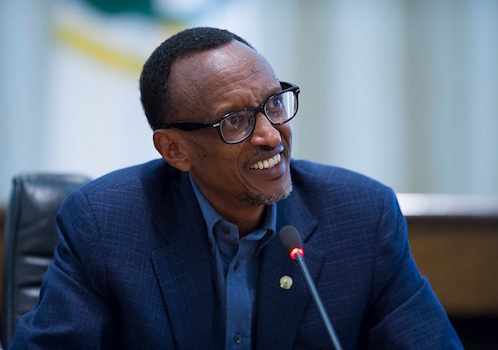 But there are some obvious signs that Paul Kagame’s countrymen and women are supportive of the country’s deliberate choice of development over democracy; the number of nationals from the diaspora who choose to return to the country largely exceed those who decide to emigrate. On August 4, Rwandans will go to the polls to elect their president. You are a candidate, and no one doubts your re-election. How do you explain this complete absence of suspense? Is this a bad thing? I do not think so. Rwanda has a specific history and a recent past that results in a specific democratic process and electoral behaviour. Wanting to judge them in the context of nations that have not experienced the tragedy of genocide is meaningless and will lead you to never understanding anything that is happening here. There will be other candidates. Are you worried about them? We have had to face challenges that are far more serious and painful than this one. Why would you want an election to be a problem for us? That is the lighter of the problems we have to deal with. Election periods are conducive to promises. What do you promise to Rwandans so that they vote for you? I am known for not giving people false promises. I am not the type to give Rwandans illusions and false promises. I’m a realist, not a populist. We know where we have come from, what we have achieved, what we can and still must do, but also what our limits are. I do not promise anything that I cannot fulfil. Do not expect anything from me except repeating to Rwandans that they must work together for a better future. I will add one essential point: this election is our business and ours alone. If I claimed to give lessons to the world, then the world would be right to judge me. But this is all about Rwanda and Rwandans. The outside world has no lessons to give us. Will this seven-year term be your last, even though the constitution allows you one more? I think so, yes. And it is likely that I will clarify this point when we begin the electoral campaign. There is a sort of contract between me, on one hand, the RPF party and the Rwandan people, on the other. They wanted, through the constitutional referendum of December 2015, that I continue my work, which I accepted. But the time has come to tell them that they must start thinking beyond me. This is your answer to those who think it is impossible to succeed Paul Kagame during his lifetime? Those who say that do it for a purpose, for a political purpose. This is a baseless allegation. The Rwandan political system depends on you. You hold the keys. Even your supporters say that if you disappear, the outcome is unknown, and everything will have to start all over again. Are you aware of this? Things do not work that way. What is important is that, what we have built is irreversible and it will last, with or without Kagame. The new generation of Rwandans have internalised many elements, brought different ideas and learned many lessons. The concern you are expressing would be justified if the Rwandan society was static, frozen. But it’s just the opposite. Similar to our economy, our institutions and our abilities, our society is moving forward on a dynamic path. Even though Rwandans want me to continue leading for some time, this dynamism will not stop with my departure. You can be sure of this. We saw it during the constitutional referendum and we will probably see it again next August. There is a kind of consensus around you. Isn’t there a real risk that this unanimity will turn into uniformity, which is the opposite of democracy? There is no uniformity in Rwanda. It is not because one opinion reaches a consensus and wins overwhelmingly over the others. As for unanimity, let me repeat: you can only understand it if you put it in the Rwandan context, not out of it. How do you justify the fact that there is only one authorised opposition party in Rwanda, the Democratic Green Party? Rwanda is a nation of rule of law. My job is not to create opposition parties, but to foster an environment in which different ideas and opinions can be expressed. The rest is a matter of law. Do not generalise your own definition of opposition. Too many givers of lessons, too many arrogant Westerners drunk on their own values ​​claim to define on our behalf what freedom means to us. They consistently label us as “not free”. Not because Rwandans have told them so, but because they decided it based on their own criteria, which form the basis of their opinions. And when Rwandans tell them that they are free, the reaction is categorical: “You think you are free, but you are not”. Their contempt is only matched by their arrogance. Fortunately, here in Rwanda, their impact is non-existent. Sometimes you are criticised for lack of transparency. Latest example is the unexpected dismissal of the CEO of the national carrier RwandAir, despite its good performance. Without any explanation. Your decision. To the public. RwandAir is an important company in Rwanda and seems to be performing well. Not so? And is that factual? This is where the problem lies. I would like to be clear. Rwandans have given me the mandate to manage the country in their best interest. If I believe that a CEO appointed by the Cabinet is failing to achieve results I expect from him within an agreed timeframe and that the return on investment is not as expected, then I have the right and the duty to replace him. We have neither the time nor the desire to open a public debate on this subject. Rwandans trust me. I do know that. But I have a powerful remedy for this. I demand accountability, and I know how to read the results. Numbers do not lie. You can tell me what you want and even try to deceive me, but at the end of the day, your results will speak for you, and that’s the only language I listen to, with no reservations. For example, a minister for health can tell me what they want, but they know that they will be judged on the child and maternal mortality rates. The same goes for food security, security, water, electricity, school, etc. There are numbers, averages, and statistics for everything. The most important is to know how to interpret them. Do you have regrets for some of your decisions? No. Never. How would it be useful? But you do make mistakes…. Definitely. When I make mistakes, I try my best to minimise consequences, without dwelling on them. I believe it is better to make mistakes than to do nothing at all. Twenty-three years after the genocide, how far is reconciliation amongst Rwandans? For the most part, the reconciliation process has basically been completed. If it was not the case, we would not be where we are today in terms of growth, security, stability and social development. In homes, schools, churches, urban and rural areas, everything has changed now. Those of you who witness Rwanda in the aftermath of the genocide can testify to that. One would be blind not to see that. You met Pope Francis in Rome in March, and at the end of that meeting, the Pope had acknowledged for the first time the responsibility of the Catholic Church during the genocide against the Tutsi. Although it was not on behalf of the Vatican as a state, subtle distinction observers could not help but notice, are you nonetheless satisfied? Absolutely. The Pope said what he said with a genuine sincerity, from the Vatican. For me, that is enough. Does that mean that the dark past of the relationship between Rwanda and the Vatican has now been left behind? Not yet. But there are now important elements that could be used in writing the conclusion of this sad chapter. That’s what counts. Yes. In the sense that I was born in a Catholic family. But saying that I am a believer would be more accurate. They say that you are now closer to evangelical churches. Is that true? No. Our relationship with all religions is good, and I don’t favour any over the other. I attend big ceremonies of Catholics, Protestants and Muslims. Generally speaking, we consider that faith is a positive factor in structuring a society. Less than two months ago, 44 Rwandans, from the Muslim community appeared before courts over terrorism charges. In a country that has about 2% of Muslims, this is significant. Is it the first time that radicalised youth are arrested? Is Rwanda the new target of jihadists in East Africa? There is a lesser threat than in some of our neighbouring countries and the intensity is still low. Even with that, we are vigilant because there are connections between some radicalised elements in the diaspora of Belgium, Kenya, Sudan or other places and even with some individuals in Rwanda. There were some infiltration attempts by recruiters that we stopped. We would never allow these new networks to grow. Your relationship with Israel and the Jewish community are excellent. Prime Minister Benjamin Netanyahu visited you in 2016 and a few weeks ago, you were the first African Head of State to address the AIPAC, the largest American pro-Israel lobbying group. Are you concerned about the fate of Palestinians who are victims of Israeli’s excessive occupation policies? When addressing the AIPAC, in Washington, I said we are without a doubt, a friend of Israel, we are fully committed towards this and have no explanations or apologies to make on this matter. But being a friend of Israel doesn’t mean that we are an enemy of someone else. Otherwise, let’s be realistic: there are a number of problems in the world of which solutions and handling are not within the abilities of a country like Rwanda and on which my opinion does not matter. The whole of Africa would be incapable of resolving the conflict between Israel and Palestine, why would you want Rwanda to get involved, if not to get trapped in an unnecessary undertaking? In a nutshell. One: We are very close to Israelis but are not enemies of the Palestinian people. Two: I would never get involved in matters concerning the Middle-East, it is beyond my jurisdiction. France has a new president, Emmanuel Macron. Do you have a message for him, any advice he could use to mend the relationship between Rwanda and France? What concrete signs are you expecting from him? That is not for me to say. I am not the leader of France. During your address on April 7, during the commemoration of Genocide, you criticised “those who are not clear about the Genocide against the Tutsi” and who are trying to “distort history.” Who were you talk about? France? I think that everyone understood what I meant. Those who think or hope that the issue of responsibility during the Genocide against the Tutsi would fade away with time or will disappear when I am gone are greatly mistaken. You can belittle Rwanda, a small African country, a small people, meaningless genocide, but there will always be a Rwandan to confront you and hold you accountable. So, the faster France ends judicial manipulations and finally accepts to face its responsibility in this tragedy, the better it would be. If I had any advice for the new president, it would be that he pushed forward this moment of truth and face history. How he should proceed is up to him to decide. Emmanuel Macron called colonisation by France a ‘crime against humanity’, before specifying “crime against human beings”. That is courageous, don’t you think? Absolutely. I hope that he meant what he said. In principle, I don’t doubt it. The African Union chairperson, Alpha Condé, recently repeated several times that French speaking African countries should “cut the umbilical cord” with France. I imagine you would agree with that. And I have always supported that. This is not about stopping our cooperation with France, but to do it on equal terms. We should no longer accept to be dependent and we must free our minds once and for all. French people, just like Africans, must know that there is another way. 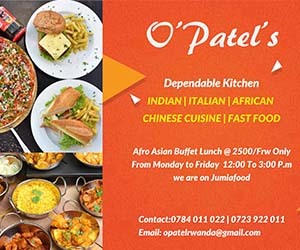 We, Rwandans, have found it. There is a real worry about what the Trump administration is planning to do about American aid programmes for Africa. Do you share that feeling? Donald Trump and his administration represent to me a disruption, a wake-up call, a wave of change in a foreign policy that was becoming shapeless. I think that the Trump phenomenon in a global sense is good news. He is shaking America, Europe, Asia, Africa. Irrespective of the results, the geopolitical environment needed to be reset and if this serves as an opportunity for us Africans to rethink the effectiveness of aid and to find another way, it is welcome. But it is too early to make conclusions on the Trump’s administration and his policy on Africa. Your peers entrusted you with the task of proposing AU reforms. What are the main areas? I see four of them. One: How can we address the problem of efficiency? Two: Where do we find sufficient funds to ensure the AU stop depending financially on external aid? Three: what challenges should be prioritised – security, development, youth, food, health, gender, equity, employment…Four: how do we speak with one voice on serious matters like the International Criminal Court, South-North relations, etc. On all these four points, some proposed solutions are being elaborated. Your neighbour, Burundi, seems to be engulfed in an endless conflict, and the mediation by the East African Community seems to have failed. What is the way out? The problem and the solutions are in Burundi, not anywhere else. The regional mediation can only succeed if Burundians have the will to get out of this situation. Do you still speak to President Nkurunziza? Pierre Nkurunziza and his entourage accuse you of trying to destabilise his regime. You don’t respond to those allegations. Why the silence? When someone has a problem and wants to make you part of it, it is better to avoid falling into that trap. That said, keeping our distance doesn’t mean that we are not concerned. We are conscious that what is taking place in Burundi could have consequences for our own security and we will never allow that line to be crossed. Does Rwanda support the opposition in Burundi? No. But we provide support, on a strictly humanitarian basis, to all Burundians who come to Rwanda as refugees and we are hosting them in camps. I repeat it; we are keeping our distances from this crisis. Even though they vilify us in Bujumbura’s streets, we don’t give it much importance. For long, the Congolese public opinion has blamed Rwanda for the their country’s problems. Until now, in Kinshasa and elsewhere, many think that you have ill intentions toward DRC. What’s your response? Facts speak for themselves. What does the current situation in DRC have to do with Rwanda? What is happening there today is a continuation of what has been taking place for years. I am waiting for someone to explain to me how Rwanda is part of the problem. Twenty-five years ago, Laurent-Désiré Kabila toppled Mobutu, with your support and participation. If you could redo it, would you redo it in the same way? Choose Kabila and help him get to Kinshasa. Yes, in the sense that between Kabila and Mobutu, Kabila was definitely the better option, or the least harmful. That decision was taken in line within a specific context, which had to do with defending Rwanda and its security. Could we have supported someone else than Kabila? I have never found an answer to that. Your personal relations with his son, President Joseph Kabila, have had some ups and downs. What is the status today? We have good cooperation. That’s all I can say and it is a good thing. On both sides bilateral problems are dealt with a positive spirit. In August 2016, Rwanda decided to re-join the Economic Community of Central African States (ECCAS), nine years after leaving it. Why? We left the ECCAS for many reasons, including financial ones. Being a member of a regional community means spending money. We had limited resources and accruing debts. Nine years later, our economy was better, and the political landscape had changed. It was necessary to renew our commitments to the ECCA while keeping our membership to the EAC. You have a dream for Rwanda, maybe influenced by the years you spent in the struggle. A dream of a perfect country, led by a perfect government with a perfect population. Isn’t that dream, a utopia you are relentlessly pursuing no matter the cost? Sure. We are idealistic; we want the best, even when the best is not necessarily achievable. But, at the same time, we are realistic and pragmatic. We are conscious of our limitations while avoiding setting limits for ourselves. We know what we can or can’t do, while pursuing the impossible. That is the way I am, and so are Rwandans.